Rajinikanth tweets support to Modi's Clean India drive, day after Kamal Haasan meets Arvind Kejriwal. 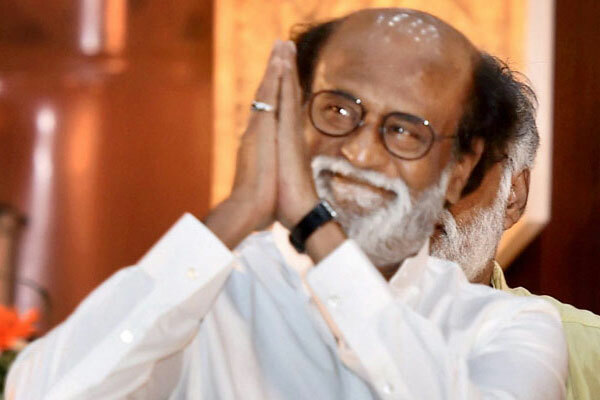 Superstar Rajinikanth today extended his full support to Prime Minister Narendra Modi's 'Swachhata Hi Seva' movement, adding that "cleanliness is godliness". "I extend my full support to our honourable Prime Minister Narendra Modiji's Swachhata Hi Seva mission. Cleanliness is godliness," Rajinikanth, who is being wooed by the BJP in Tamil Nadu, tweeted. Incidentally, Rajinikanth's tweet comes a day after the high-profile lunch date between another Tamil star Kamal Haasan and Delhi Chief Minister Arvind Kejriwal in Chennai. At a press conference following the meeting, Kejriwal invited Haasan to join active politics to fight corruption and communalism. On his part, Kamal Haasan said it was an honour to learn that Kejriwal wanted to meet him. His residence was always politically active during his father's time though he himself had kept away from it, he said.